Early in the 80’s there was a T.V. show named MacGyver, where a man with a lots of imagination, and a simplest tools were able to resolve the more complex puzzles and situations.. regards to @RichardDeanAnderson whose played on this show. by those days, i was going to school.. and of shore i was in the elementary, but my grandpa, came from N.Y. carrying with him an IBM XT8088, this one was my first PC, was a christmas present, but that was awesome, because by that days, the color displays were pretty rare. 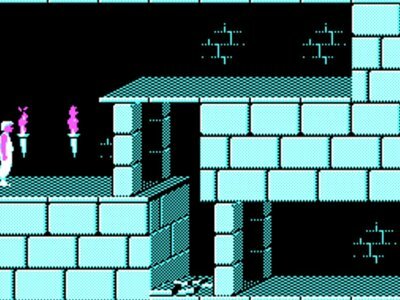 My PC, had as i remember (i was 9 yrs old…) D.O.S as operating system, it also had a 5 1/4 floppy disk, where i remembered to play my first video games, as Prince of persia in a CGA 16 colors monitor, and the clasic of every cars game Test-Drive, also i remember that i had play a brutal chess, and a kind of story telled game, where you made some choices and the game final was diferent each time. *thanks to xataka for this image. In that time i became good with D.O.S., i remember i became passionate because the video-games motivated this, and i started to read the phisical manuals that become with the computer (in that days the internet wasn’t available yet). Today, with PowerShell, the people can read the manuals of every CMD-LET they want to use, simply typing Get-Help theName-ofCmdLet -Full, even if they know how it works, and want to make use of a CMD-LET, Get-Help theName-ofCmdLet -Examples will show a set of examples with the explanation of that CMD-LET. What happen if i was a D.O.S user? what if i became from Linux Bash? well, Microsoft has provided a set of alias for commands, and also there is a kind of back compatibility with those old commands from D.O.S, you can get a list of the alias usin Get-Alias or you can use classic commands as IPCONFIG or DISKPART. remember, you can list your CMD-LETS using a GET-COMMAND by default PowerShell got more than 900 CMD-LETS, and the old D.O.S just had around of 80 commands. come with me… touch the keyboard, feel the experience to talk to your computer with these PowerShell, you can be scared, but i say, don’t be shy. Every Microsoft technology, involves PowerShell as the basis. even many things that you can do with a GUI, you can drive it by PowerShell and more detailed. In this New certification path you can see that every Microsoft Certification Exam, that Exams that prove that you “Know enough” about a product, has a deep drive in PowerShell and most of them have questions related with PowerShell CMD-LETS. Became a Hero, Became the PowerShell-Man, and you can learn the most for every product. 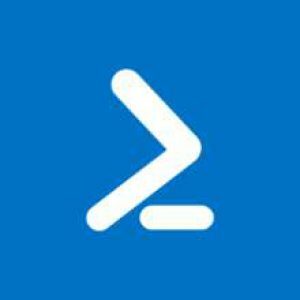 En ocasión del nuevo Microsoft Day 2 #SuperLigaDeConocimiento que tendremos en IT Talent calle 72 Bogota, el próximo sábado 26 de Agosto, quiero invitarlos a mi nueva charla de administración desde PowerShell utilizando el modulo de MSOnline, con el cual podemos generar las cuentas de usuarios, los grupos, administrar las licencias, gestionar las contraseñas, habilitar la sincronizacion de directorio activo onpremise. Este evento es gratuito, pero les recomiendo el registro previo. los esperamos a todos. To sign in, use a web browser to open the page https://aka.ms/devicelogin and enter the code FBSYDWX to authenticate.